3. Fireplace, Gas logs, Wood-burning, Wood Stove. 3 Garage Spaces. Attached Garage, Finished Garage. Grill - Outdoors, Playground, Racquetball, Satellite Dish, Extra Storage. Paved Road, Private Roads, Wooded. 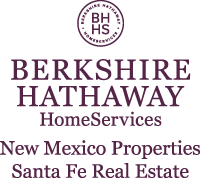 I am interested in 6 La Canada Place, Sandia Park, NM 87047. Sign up for Inside AccessTM to view recent sales near 6 La Canada Place.